I don't normally write about support and giving money on here but today I am going to! As most of you know, I have been in Mexico for the last 2.5 years working on a church plant team in Ixtapaluca (right outside of Mexico City)! I came here and kept extending my time =0). God has called me to go full time and I am working on raising the required monthly (and onetime) support that is needed to do so. My current need is $1900 a month (more) to continue my service here after August 5th. My desire is to continue living and working here without interruption. 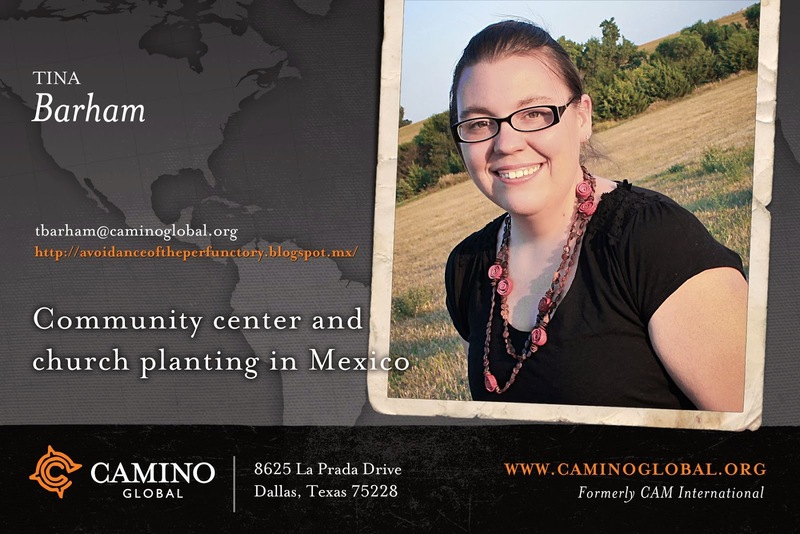 I will have to do a small trip in the fall to the states for connecting, asking and sharing the story of what God is doing here. While 1900 dollars a month SEEMS like a big number, if you break it down, it isn't bad at all. OR any combination. See, not bad! 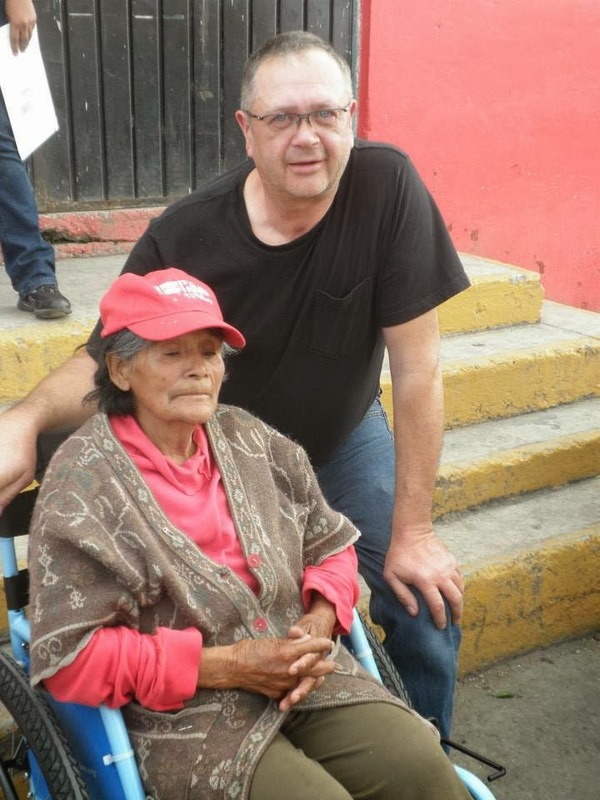 Anyways, would you like to partner with me and what God is doing here in Ixtapaluca? Are you in a church who would like to hear more? How about your bible study? This week was the first week of our new community center block of classes. We never really know how the classes will turn out.... but so far so good! All classes have been just the amount that the teachers can handle. 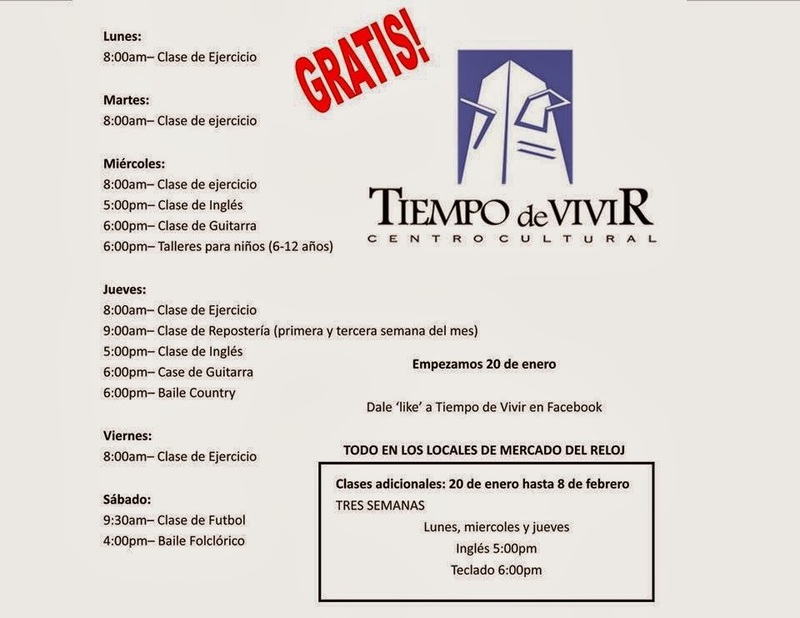 Rod having like 8-10 guitar students, a room full for english classes, 4-5 for keyboard, 12 for kids craft class, and 12 for country dance class... oh and 2-6 for the everyday exercise class. The best part of it... there is a great mixture of people we know (whether through the church or through other community center activities) and people we have never seen before! Please pray for these classes this year. That we can not only provide some new knowledge, experience etc for the people attending but that we can gain relationships with the new people. We know relationships is the first step in being able to share the Gospel. Growing up in the USA the typical greeting was a quick hello, a handshake, a nod. But, here in Mexico it is more customary for people to take the time to stop, say hello, give a cheek kiss, a hug, etc. You are actually a rude if you don't acknowledge the person. Sometimes I mess up. I get in a hurry or am in my own little world and don't greet someone. I am sure my face turns red when I realize that once again I broke the greeting etiquette and slip back into my American ways. I am a work in progress, i guess. It is not just the greetings that are different, but also the goodbyes. You can not just say a blanket goodbye or open the door. You need to again go around to everyone and give individual goodbyes. For an american who is always in a rush and focused on the next task, I find this way of living to be refreshing. It causes me to slow down. To enjoy the people and the relationships around me. People are truly acknowledged, like they should be, instead of a quick exchange that barely makes notice of the person. Greeting people, as I have come to realize, is important. People are not meant to be overlooked and you shouldn't be too busy to invest in that relationship. I am fortunate to be a part of a church that sends people. A group of seven people came to Mexico the for the last few days (actually they are still here, just with the Prusias). Last minute before they came, we found out that they could ACTUALLY do something on the land (property for the church building). 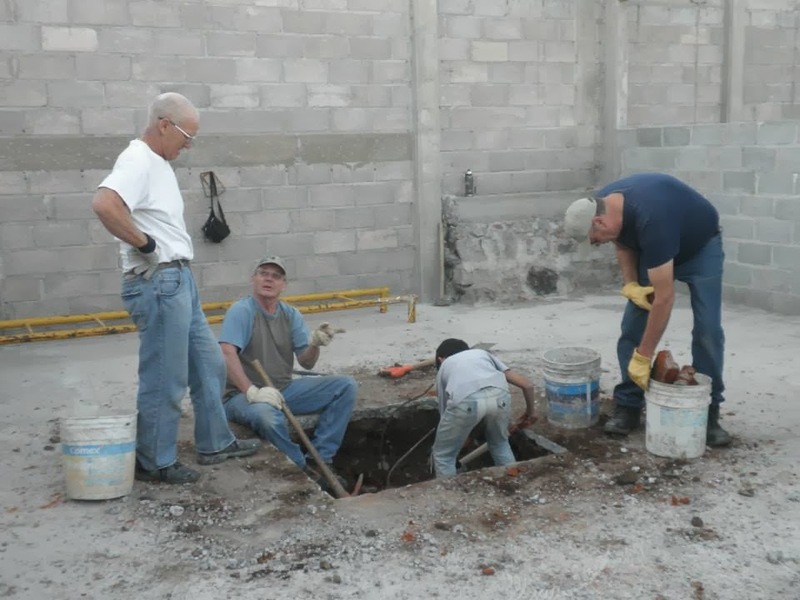 They dug holes and helped get things ready to put in the poles that will enable us to have a second floor on the part of the church property we are currently working on. 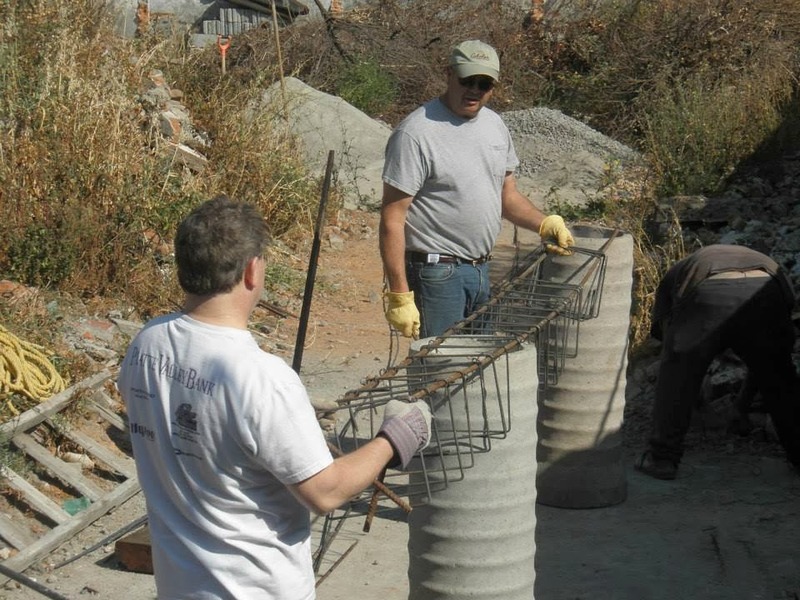 It was a lot of back breaking work... and they did it all with a sense of humor and a smile on their face! 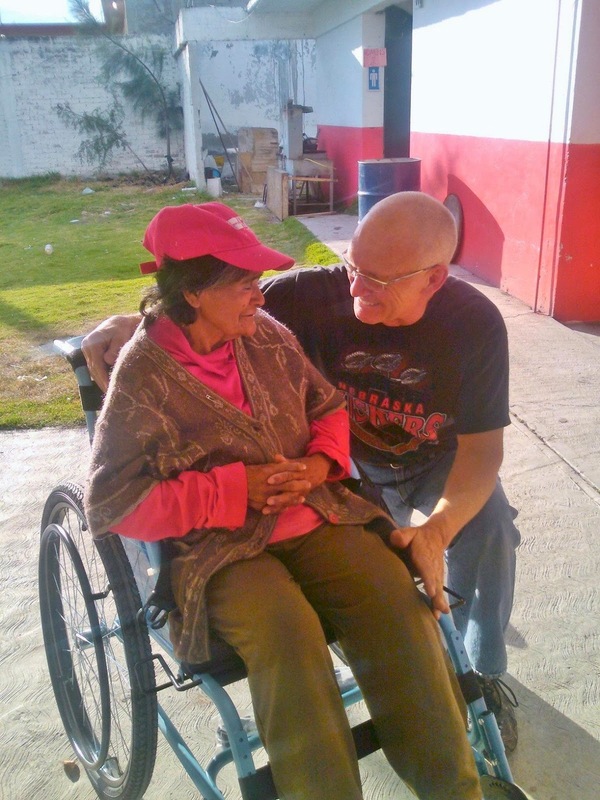 Also during their time here we were able to do THREE wheelchair outreaches (two here in Ixtapaluca and one in a near by community). 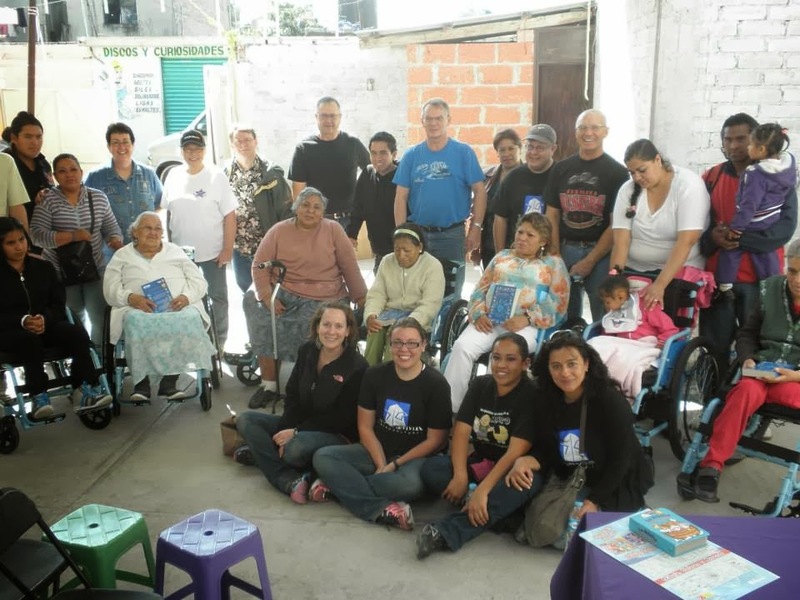 You can read about the wheelchair outreaches HERE, HERE, and HERE (haha). They helped changed lives... giving the gift of mobility. I am thankful for each one of the people that came down ---Tim, Randy, Dan, James, Willie, Jo, and Ken!--- COME BACK ANY TIME! I am also thankful that they got to see what our ministry is like here in Ixtapaluca and how God is changing and transforming our community. Today was a pretty amazing day with a team from my home church- Fremont Alliance Church. 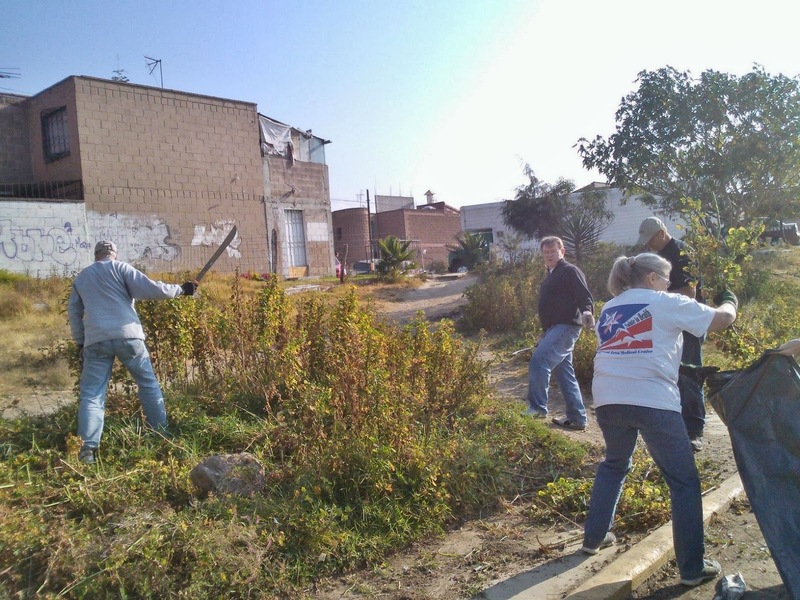 They came down to work on our church property.... but we threw them into one of my favorite things, wheelchair outreaches! 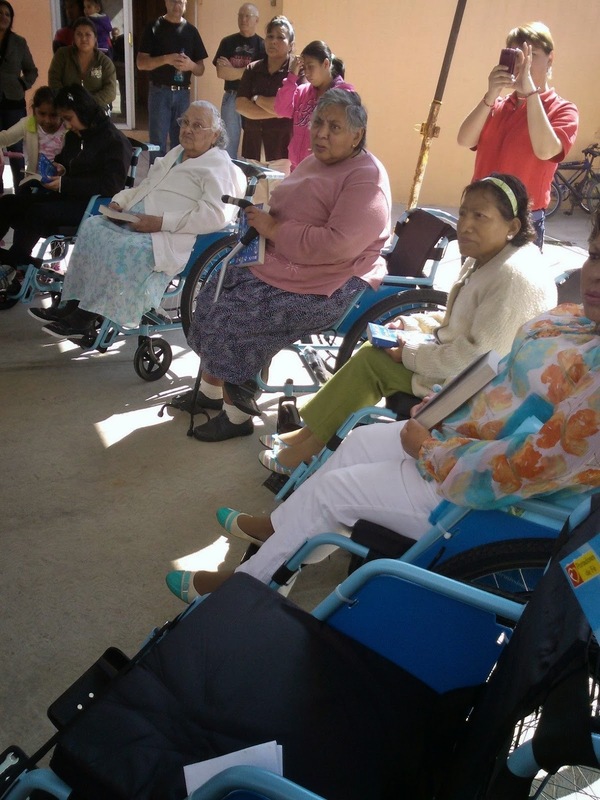 The morning we had about 75 people (including us and the team-- so 50 people we didn't know), gave 8 wheelchairs and Mayra gave an awesome devotional. This afternoon, after an amazing lunch, cooked by our amazing women in the church... we did another outreach. 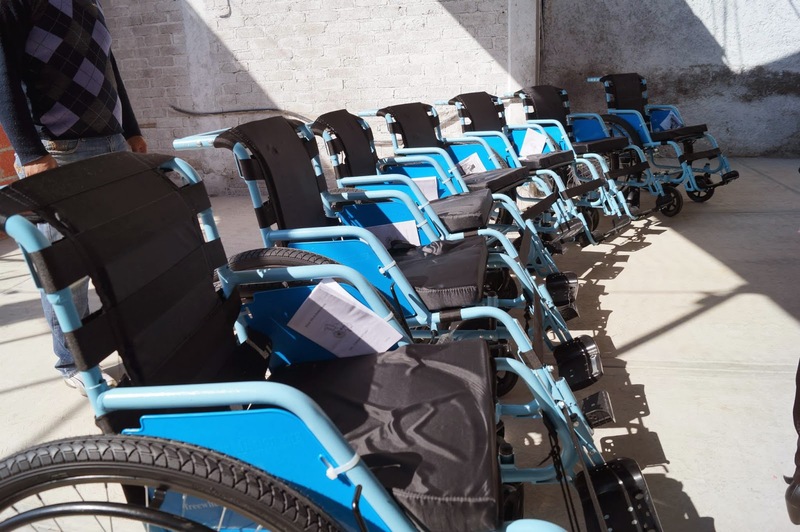 The goal was to delver the six wheelchairs. Well two people showed up and we left one chair. But, the small group was what God had planned. The people there touched our hearts and I think God touched some of theirs too! Pretty cool experience! Both outreaches are in new neighborhoods. But, we now have an open door! Praise the Lord! More to come with this team!